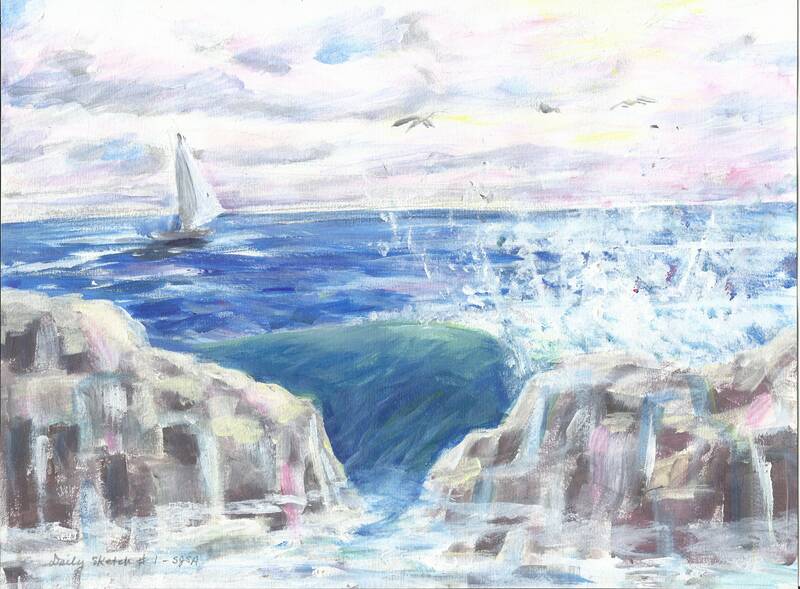 This quick seascape sketch attempts to depict universal movement with a sailboat in rolling water, with rolling clouds, and a rolling wave, and suggestions of birds on the wing... It was deliberately sketched in acrylics rapidly, with an hour as my time limit, and in primary colors only (plus black and white), to keep it simple. My main idea was the movement of all that we see... It was painted without a reference picture. Some pencil marks show through.